We are offering Oil Free Screw Compressor to our client. We, Ace Engineering Solutions from 1999 are famous amongst the esteemed wholesaler, trader, and distributor of an exceptional quality assortment of Vacuum Pump and Power Generation Products. 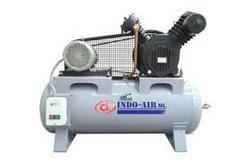 Offered products range consists of Power Generation Products, Air Compressor, and Vacuum Pump. The offered range is designed under the supervision of quality controllers. Apart from this, these products are known for their easy usability, lightweight, flawless performance, crack resistance and durability. Apart from this, we are also offering Diesel Generators Maintenance Service to our valued clients. We have been carrying business under specific principles like timely delivery of consignments, providing optimum quality products, maintaining total professionalism, and to look ahead to adopt newer ways to diversify the business. We have associated ourselves with the vendors of the industry who enable us to furnish the necessities of our patrons. In addition to this, with the support of our professionals, we are able to gain a trustworthy relationship with our clients in a short span of time. We are supervised by our mentor “Mr. Tarannum Khan”. Also, we have been able to gain prominence in this realm, owing to his experience, organizational skills, and ethical business policies.